You are here: Home / Wizards of the Coast Drops an "Evo-Bomb!" Hello again everyone, it's been far too long! 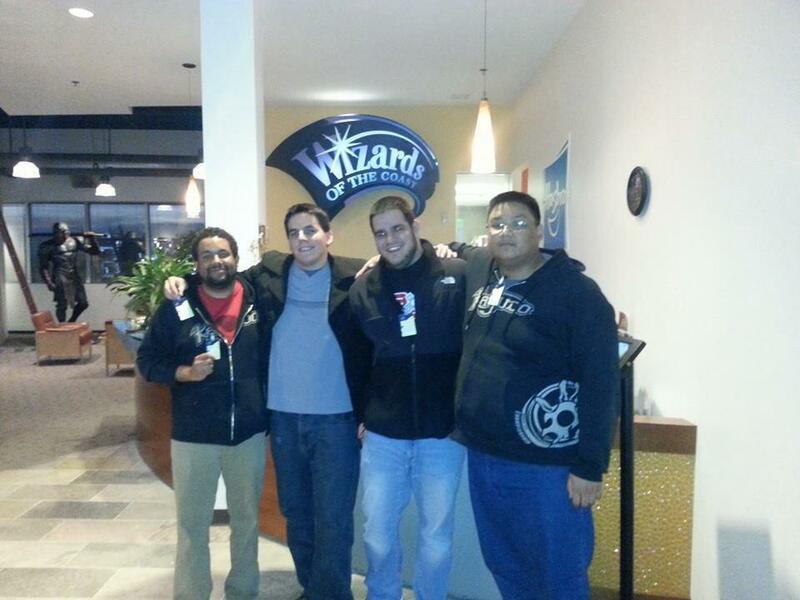 I've recently been busy with some things around the holiday season and more recently, I was able to go out to Wizards of the Coast with a few other members of the Kaijudo community to discuss the future of this amazing game! This was truly an amazing experience that words cannot describe... and in some regard, some of them literally can't be talked about, well, except for the "Evo-Bomb" that Wizards of the Coast dropped on us earlier today! 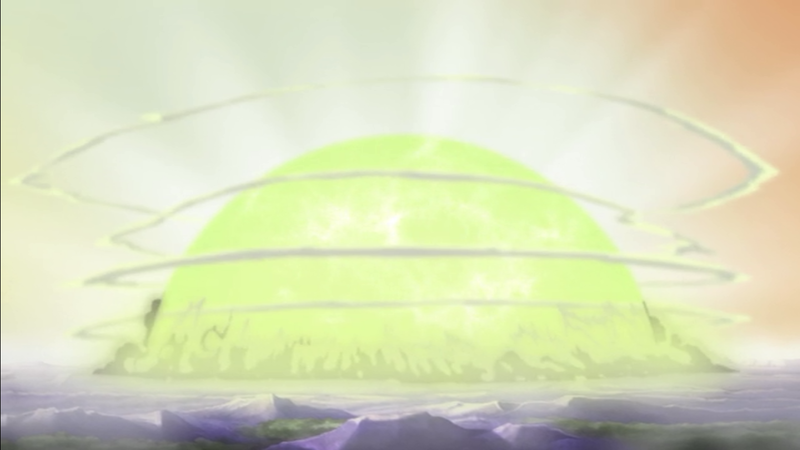 Wizards of the Coast have just recently announced on Kaijudo.com and ICv2 that they are planning on introducing new ways to play the game, inevitably changing how we'll play the game forever. The main topics that were discussed included: Rotation, drafting, pack sizes, and even [ccProd]Bottle of Wishes[/ccProd]! Let's get right into these exciting new topics and take a look at how they'll affect the game and how we'll play it. Rotation... many have wanted this for some time now while others would rather have a ban/restriction list like they have implemented into other trading card games. And of course, some others would like for nothing to change whatsoever. In rotation a good portion of cards become unplayable in a "standard" format. It may not say that cards are being banned or retired, but in the standard competitive scene, there's really not much of a difference. At the same time, Wizards has mentioned that they will also be supporting an open format similar to Magic: The Gathering's Legacy or Vintage where everything is legal to use and I mean everything. Wizards has mentioned that there will be an addition of an "open format" where you can even use the infamous [ccProd]Bottle of Wishes[/ccProd]! That's right! 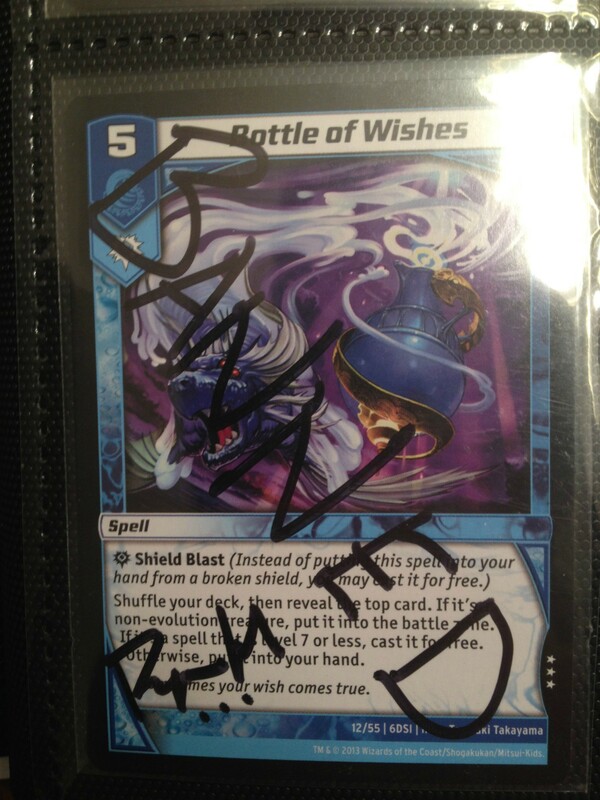 With this announcement, [ccProd]Bottle of Wishes[/ccProd] has come off of the retired list and has been limited to one copy per deck in the "open format." The card is still amazing as ever, however, at least now there's only one copy to be used and less of it to be abused. So if you were concerned about not being able to use your cards from the older sets, don't worry, maybe this is the format for you? The idea behind rotation is that certain sets in a given "block" will be rotated out essentially every year. In this case, all of the sets prior to Clash of the Duel Masters (7CLA) and Triple Strike (8TRI) will be rotated out and will be unplayable outside of the open format. The rotation will begin effective May 30, 2013 when Quest for the Gauntlet, the first set of the "Gauntlet Block," comes into play. This means that problematic cards like [ccProd]Herald of Infernus[/ccProd] and [ccProd]Andromeda of the Citadel[/ccProd] will no longer be an issue in our current metagame in the Standard format, thus plunging Dragon players back into the dark ages. It looks like [ccProd]Rampaging Tatsurion[/ccProd] won't be the only one rampaging later this year! On an important side note, we have still yet to receive any information about what's in store for these future formats as well as what this means for our upcoming season of KMCs and Championships. 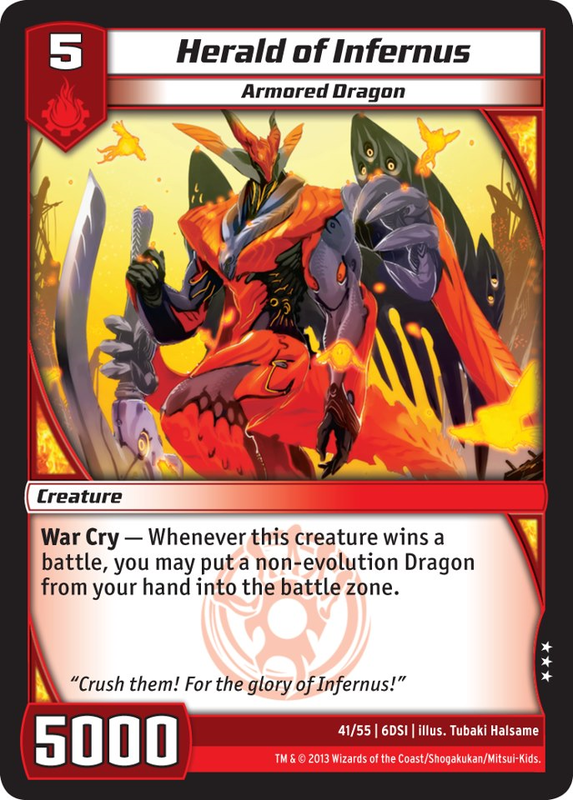 Currently we don't know if this will just affect the competitive or local scene, but make sure to check out Kaijudo.com for future updates. One of the strongest benefits to a rotation format is that it becomes much easier for newer players to become involved in the game. 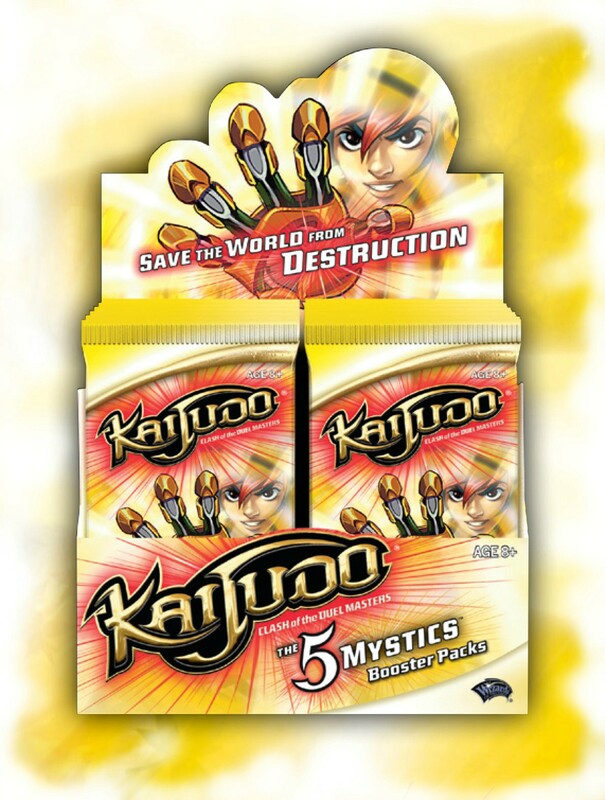 If you knew nothing of Kaijudo but saw it advertised at your local store and you wanted to check the game out, you'll only need to focus on the most recent sets in order to make a deck, not every card in existence. Let's not forget that certain sets have been out of print for a while now (Dragonstrike Infernus). This makes it less of a necessity to pick up some of the money cards like [ccProd]Andromeda of the Citadel[/ccProd], which is going for around $50! Much like the prize packs at the upcoming KMC season, I suspect that this has a lot to do with getting newer players into the game and allowing everyone to have a fun and enjoyable time, as opposed to just the super competitive players out there. But what does this mean for all of the staple cards that we use in all of our decks? [ccProd] Stormspark Blast[/ccProd], [ccProd]Root Trap[/ccProd], and so on? In the open format you can still use them but in the standard environment they'll be rotating out. This will definitely give players more of an opportunity to try out new cards and combinations as the months go by. The standard format will definitely showcase deckbuilders and innovators at their finest. In Wizards' article they also discussed some very interesting news regarding their booster packs; they're increasing the amount of cards from 9 to 14! This opens up a ton more room to start drafting as well as making sealed events less of a hassle on your wallet! Now you'll only need three packs to draft instead of five or more. It also appear that this could make Booster Brawl a more viable and affordable option as well! Wizards has also stated that they are now designing sets with draft in mind. 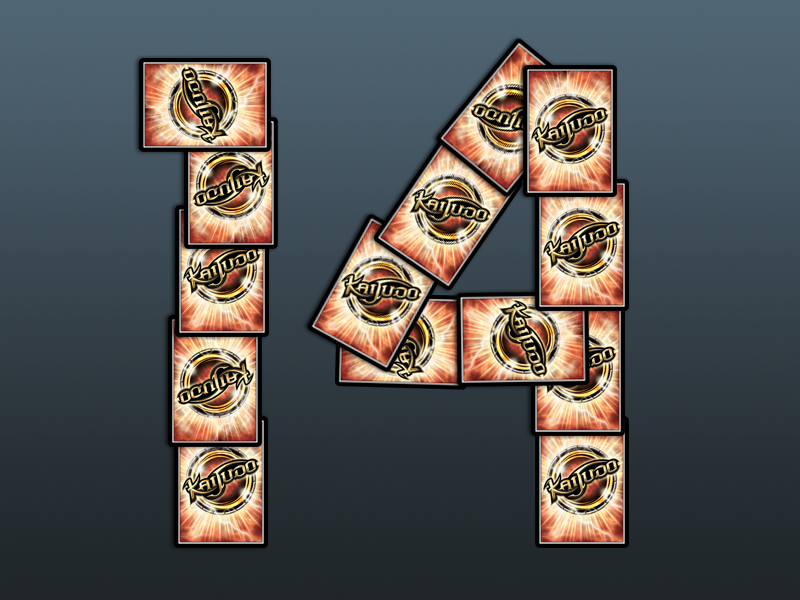 If you see a card in a pack, expect it to be playable with other cards in the same set as opposed to a couple of dragon evolution cards we all know from Invasion Earth... Sets will also now also be increasing in size overall starting with the new set "Quest for the Gauntlet" which will be an astounding 170 cards! What would normally be considered a large set for us will now be our small set, jumping in at an 85 card pack. This will allow for more strategies to be explored in drafts and sealed events in the future. All of this is great news for most of the community out there. This "Evo-Bomb" as I put it earlier will see just how well the competitive players will adapt in a whole new environment. Perhaps cards that have never seen play before will finally get a chance to shine. Make sure to stay tuned here at Alter Reality Games for more news when you need it and be sure to pre-order your boxes of "The 5 Mystics" coming out March 14, 2013 while you still can, it's going to be a blast! Thanks for reading everyone, and as always, remember to keep calm and game on! The Circuit Series makes its next stop in beautiful Charlotte, NC on February 8-9, 2014! I don’t really think this format helps budget players or new players. They may not have to buy andromeda, but it doesn’t mean they won’t have to drop 30+ dollars on the cards in the format that DO make a difference in the competitive scene. This also splits the players if there ever will be ranked tournaments for open play. I’m not a fan of this. I understand your apprehension, but I hope you’ll give it a chance. Wizards needs to ensure that competitive players have reason to continue buying booster packs, so without a set rotation, the choice then becomes power creep and the potential of a lot of retired cards. This is a much cleaner solution that allows R&D to develop with certain block mechanics in mind. Also, the new 14 card booster packs will make it much more affordable to buy into the new set. Just enter a draft tournament, keep your cards you drafted, and get prize support on top of that if you do well! You can’t really beat it for $12-15 bucks.